We make our windows from our innovative Fibrex® material. Fibrex combines the best qualities of vinyl and wood, which is why it is durable, energy-efficient and low-maintenance. We also manufacture Fibrex material from 40% reclaimed wood fiber by weight. This wood fiber comes from the Andersen Corporation’s wood window manufacturing factories. In fact, this process has saved up to 90 million board feet of lumber. Our replacement windows and French doors can also reduce your home’s energy consumption, which can help conserve the natural resources our country needs for electricity production. This is because our windows and doors come standard with our High-Performance™ Low-E4® glass. This glass has a low-emissivity coating on both sides that can reduce heat transfer. 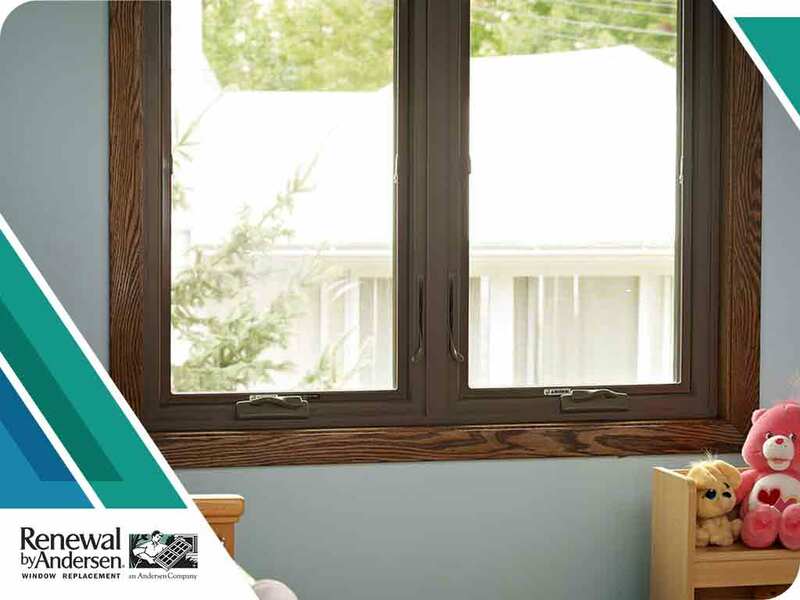 This means our windows can help keep your interior cool in summer and warm in winter. Since your home’s interior temperature is more stable, your HVAC system will consume less energy. The Scientific Certification Systems (SCS) Indoor Advantage Gold Certification is the strictest indoor air emission standard in the country. This certification proves that our windows are perfectly safe and that they emit no harmful volatile organic compounds or other toxic substances. Our manufacturing process ensures that our products help maintain your home’s indoor air quality. Our Fibrex frames are twice as strong as vinyl frames and they will not warp, corrode, peel, blister, fade or crack. Our window glass is similarly durable. This long life span helps keep less durable replacement windows out of landfills since you won’t have to replace your windows as often. Renewal by Andersen of Long Island windows are environmentally friendly, energy-efficient and long-lasting. In addition to our great windows, we can also install beautiful and durable sliding patio doors and French patio doors. Call us at (631) 206-6773 to learn more about our services and products or to ask for a free estimate. We serve homeowners on Long Island and nearby areas.